Friedrich Christian Delius was born in Rome in 1943 and grew up in Central Germany. 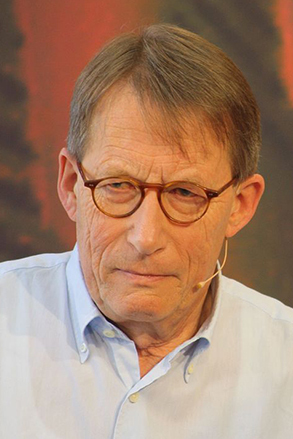 He did his doctoral thesis in German studies in 1970 and subsequently worked as book editor. Today he divides his time between the Italian capital and Berlin. Some of his best-known works are Ribbeck’s Pears (1991), The Sunday I Became World Champion (1994), The Walk from Rostock to Syracuse (1995), and My Year as a Murderer (2004). Portrait of the Mother as a Young Woman (2006) was translated into English by Jamie Bulloch for Peirene Press in 2010. Delius has won numerous awards, including the German Critics’ Prize, the Joseph Breitbach Prize, and the highly prestigious Georg Büchner Prize.